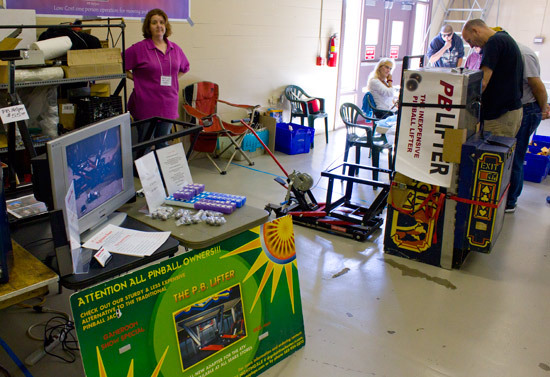 October in Pennsylvania means we're back at the Horticultural Hall in York for the White Rose Gameroom Show. 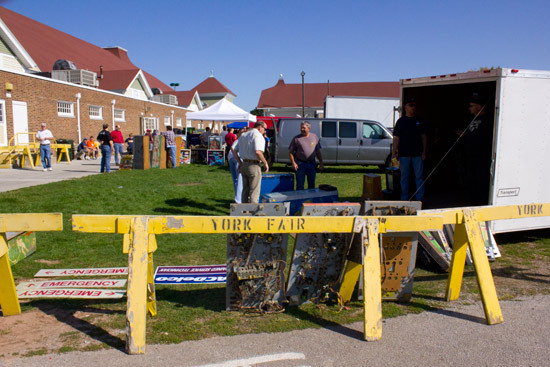 As usual, while the show takes place inside the hall, the flea market takes place outside. This year, however, things got off to a slow start. 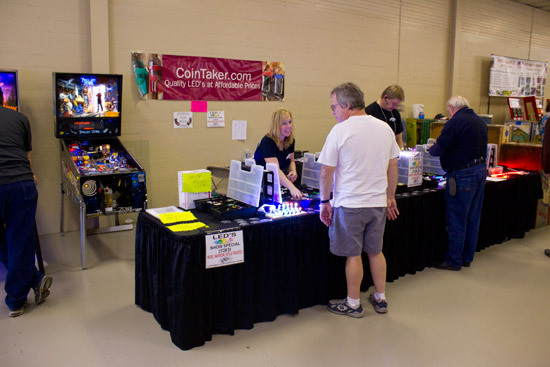 The usual throng of early morning sellers and eager buyers were noticeable by their absence. 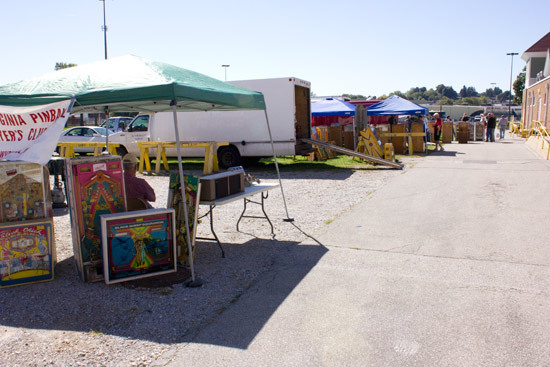 In fact it wasn't until mid-morning that more than a couple of vendors started to unload. 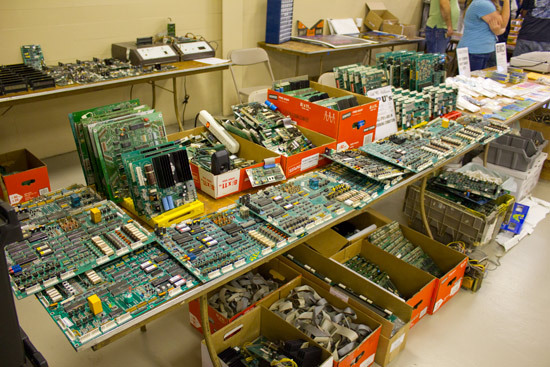 Before long, the usual mix of machines, parts and paperwork was unloaded and put on display. 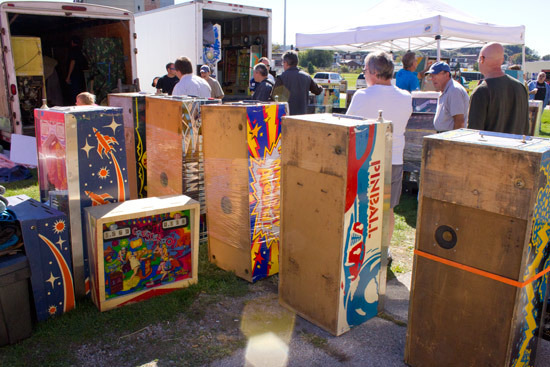 One possible reason for the lack of sellers at the start was an auction organised by Auction Game Sales in Timonium on the same day. 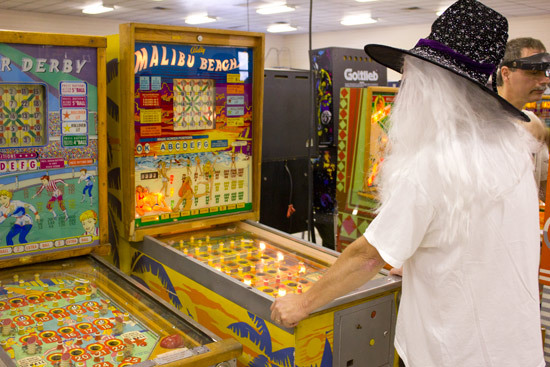 But it wasn't just pinball. 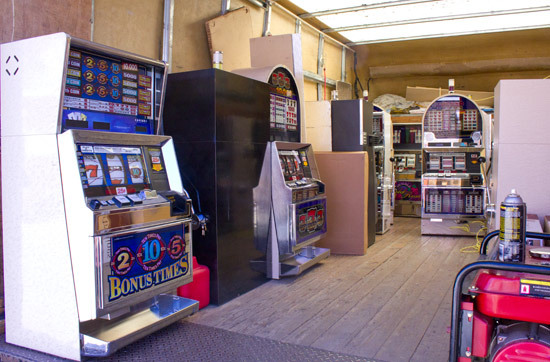 This was the White Rose GAMEROOM show after all, so some slots arrived and were displayed in their truck. 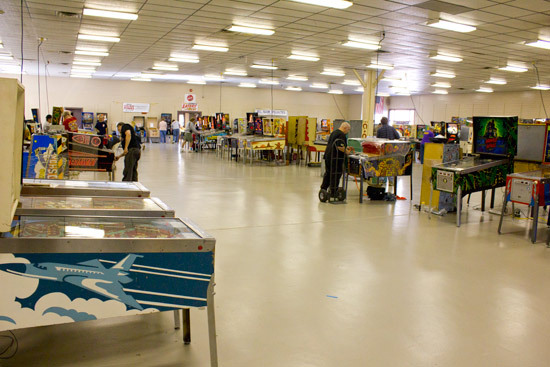 While we waited for the flea market to get up to speed, we ventured inside the main show hall to see how things were going there. Entrance to the show cost $15 per day, or there was an advance ticket available, saving $5 on a 2 day pass. 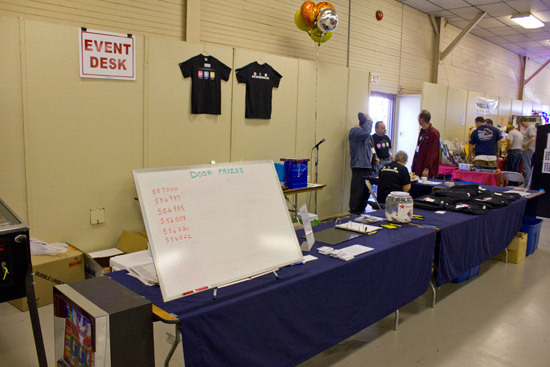 Paid entry also got you a chance to win door prizes throughout the day in a draw held at the show desk at the back of the hall. 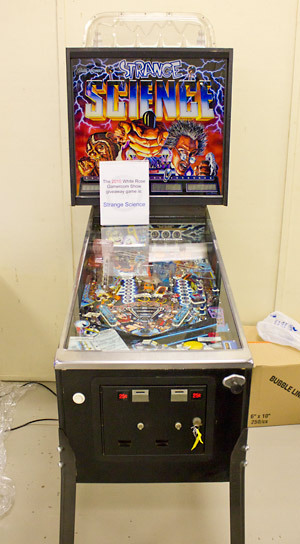 The grand prize in the draw was a Strange Science machine. The winner would be announced later on the second day. 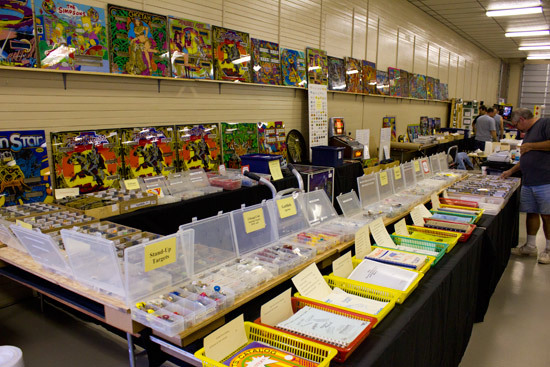 When the show opened, there were still plenty of games still to be set up and a few ominous gaps in the rows. 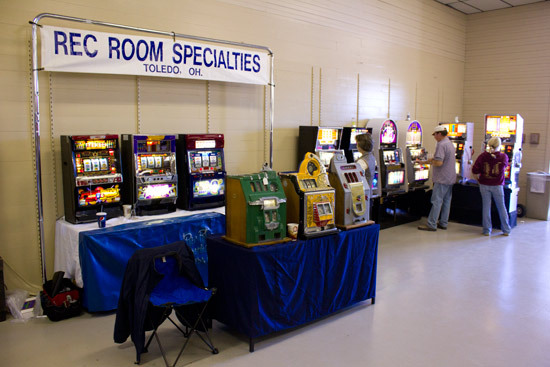 Machines - like the visitors - continued to arrive throughout Friday, so by the time we made our list in the middle of Friday afternoon, there were 121 pinballs, 3 bingos, 15 video games, 17 slot machines, 2 novelty games and a single jukebox. 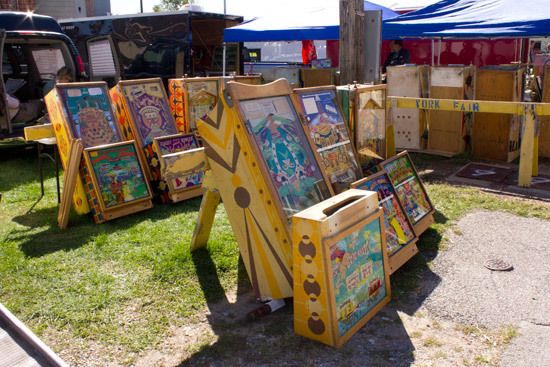 Those were the machines set up for the public to play. 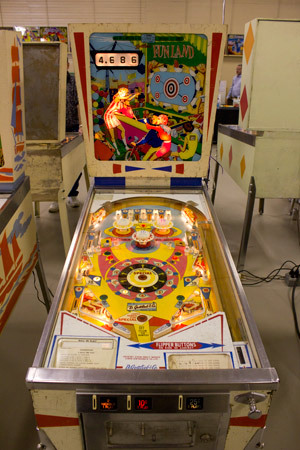 In addition there were 6 pinballs on display as demonstrators or set on paid play. 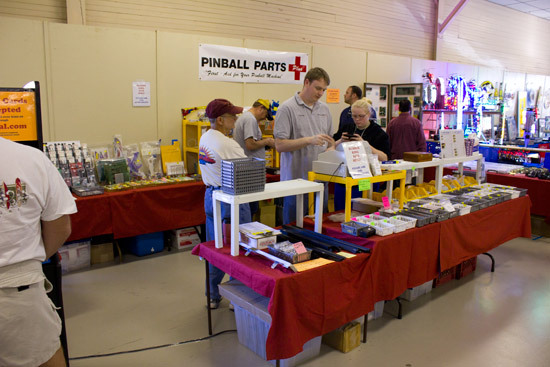 The number of pinballs was down from last year's 140 and as we noted earlier, the number of vendors in the flea market was also fewer than normal. Inside the hall though, there was the usual mix of parts suppliers in attendance. Saturday brought a mix of good news and not so good news. 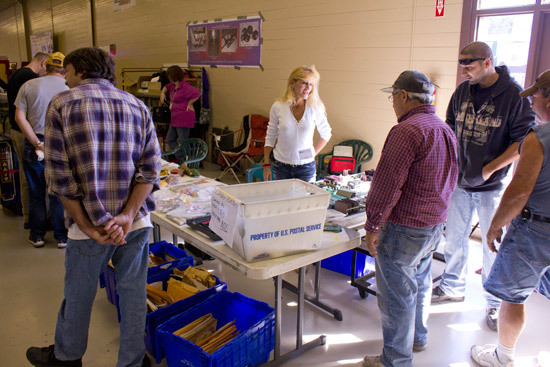 In the plus column, more sellers turned up in the flea market. 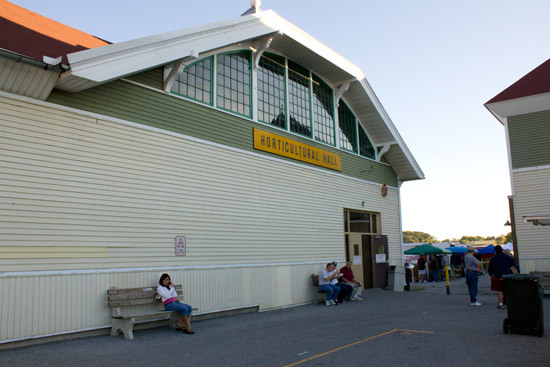 The weather also brought clear blue skies and bright sunshine to help the outdoor sellers. 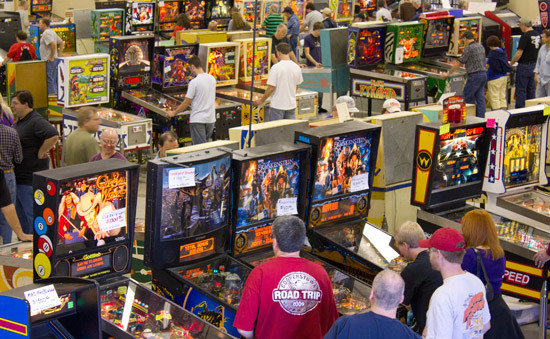 Unfortunately, many games had disappeared from the main show hall and replacements had not turned up to fill in the gaps, leaving the show looking a little denuded for those turning up on the second day. 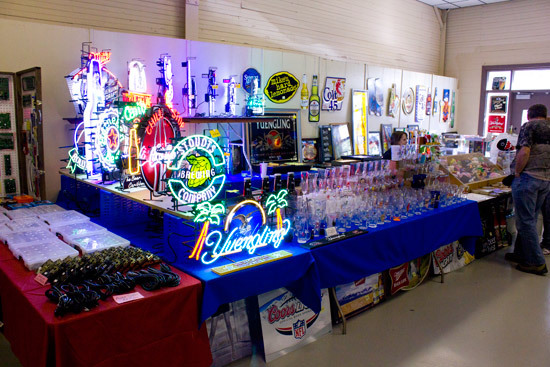 We were in two minds about returning to the show for a second day but decided to go back for a shorter visit, just in case something interesting had turned up overnight. 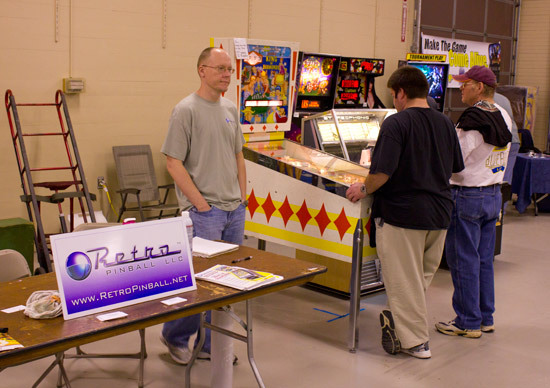 We didn't stay long, and so missed all of Saturday's tournaments. 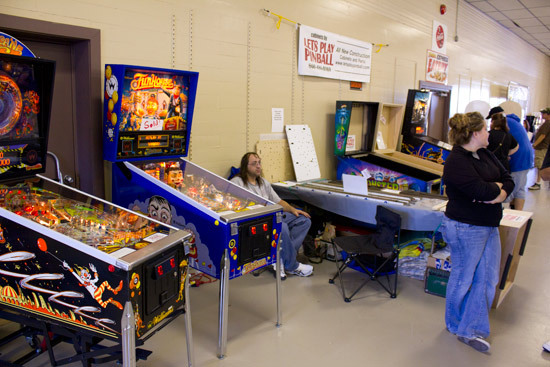 There were actually several tournament held over the two days, from the electro-mechanical held on Funland, to the Ladies Tournament held a couple of hours later, through to the Doubles, Kids and the Electronic contests held on Sunday. All were fairly low-key and casual. 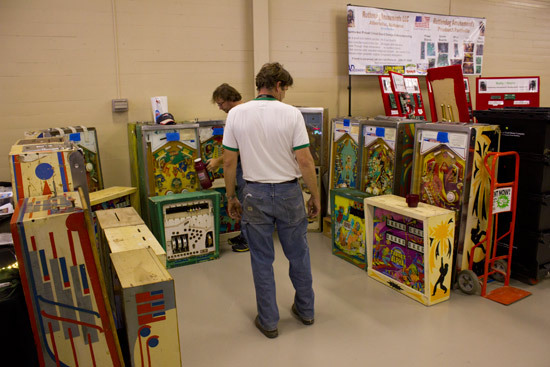 Players simply got 1 free game on the selected machine and tried to get their best score. 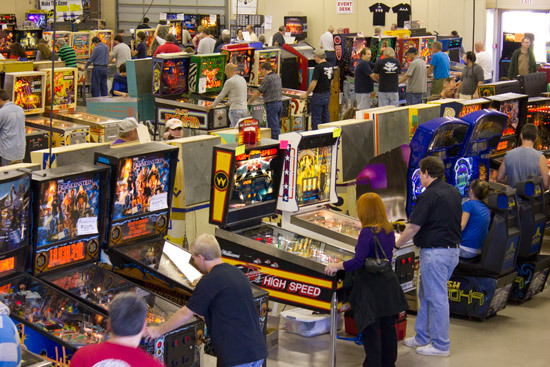 The highest three scores won prizes. We didn't hang around to find out the results but they are usually posted on the show website. So with that we close our coverage of this year's show. 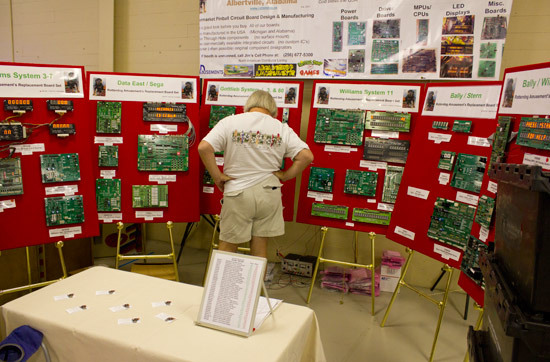 It felt very similar to previous years, yet slightly smaller and less well supported both in terms of the number of machines and the number of visitors. 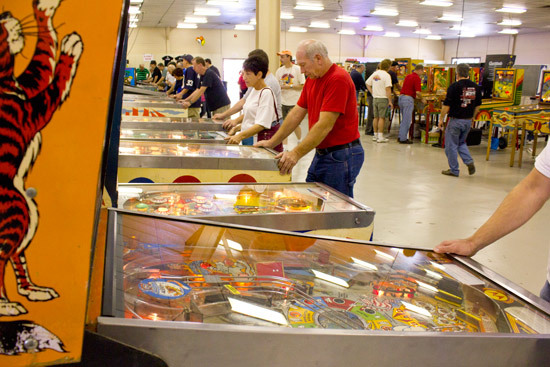 The White Rose Gameroom Show does, however, provide a different type of pinball show - one for families, collectors and more casual players. 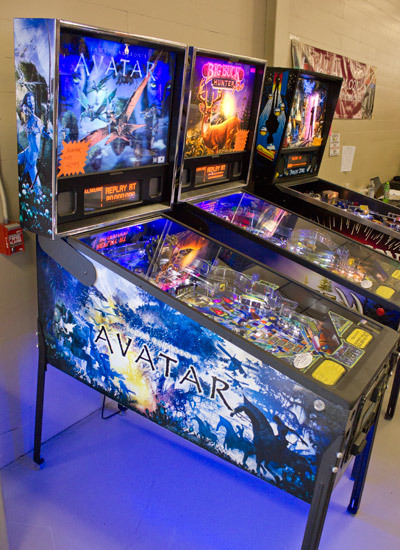 The parts selection was as good as ever and having 120 games to enjoy is still leads to a respectably-sized a show. 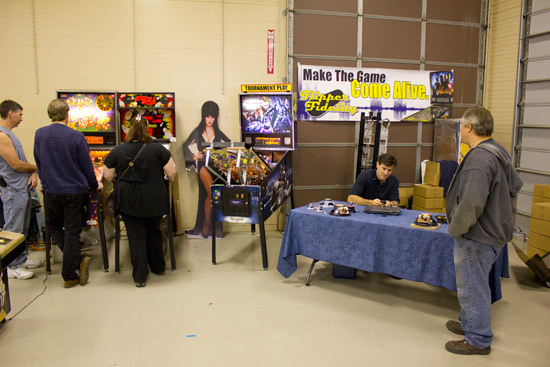 Finally, you can tour the White Rose Gameroom Show 2010 for yourself with our exclusive Three Minute Tour video. Just click on the picture below to play the video.